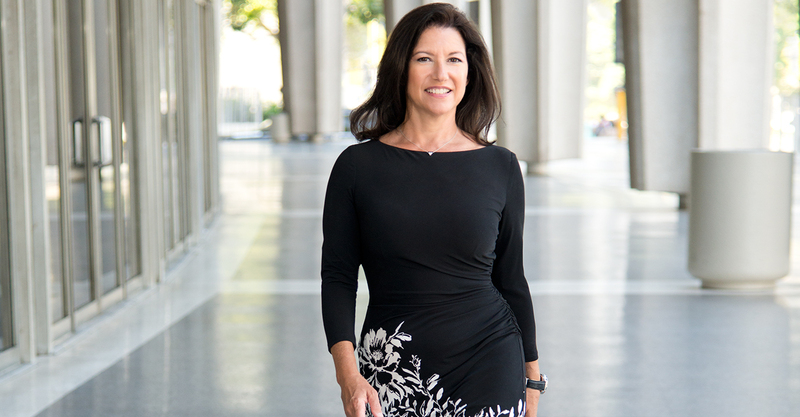 It will surprise no one that Amy Fisch Solomon devised her own pre-law major as an undergrad – with an emphasis on speech communication – before heading to Loyola Law School, Los Angeles. She has put her ability to communicate with jurors and judges to use in more than 30 trials and many more settlement negotiations, netting billions of dollars for injured parties and their families. Solomon has spent her entire career – after an initial career in ballet – at the storied Los Angeles plaintiff’s firm of Girardi | Keese, where she started as a clerk. She also works as a neutral and contributes her time to a wide range of public interest activities. Lawdragon: Can you talk about how you developed an interest in a plaintiffs’-side trial practice? Amy Fisch Solomon: I developed an interest in plaintiff-side trial practice after having an exceptional torts professor my first year and then finding Girardi | Keese my second year. I really was drawn to advocating for those without a voice, and the thought of doing so via jury trials certainly appealed to my prior career as a classical ballet dancer. LD: Can you talk about your undergrad major? Was that because you knew you wanted to be a lawyer? AFS: Once I decided that I wanted to go on to law school after college, I wanted to prepare myself for law school as best I could. It seemed to me that the typical journey through a Political Science degree was not the most well-rounded approach. I went to the chair of the Speech Communications Department and said I wanted to develop a “pre-law” major. He allowed me to submit a proposal, which I did. I put together courses from several disciplines, including Speech Communication, Philosophy, Psychology/Sociology, Business and Political Science. I was also an English Minor. I felt this multi-faceted approach was much more interesting than a straight poli-sci major, and also served me well when I applied to law schools as I believe the breadth and diversity of my studies was appealing to the admissions committees. Certainly, the courses in Speech Communication gave me a strong foundation for trial work. LD: What has kept you at this type of practice for the entirety of your career? What would you say drives you to keep taking on cases of injured parties? AFS: I will celebrate my 30th year at Girardi | Keese next May. I have stayed here doing what I do because of the opportunity and support. What drives me to keep taking on these cases are the stories my clients bring to me that I feel compelled to tell to the “world,” as it were, in order to obtain justice for them. I have always had an extreme sense of justice – of fairness. I can’t tolerate what isn’t fair or just. This concept runs deeply for me, in that I am very careful to choose cases that I truly believe in. LD: I read that you started as a law clerk at Girardi | Keese. What else about the firm has kept you there, as opposed to maybe going elsewhere to continue your practice? AFS: I was afforded so much opportunity here early on. I started trying cases just a few months after passing the bar. Prior to that, as a law clerk, I was allowed to be involved with every aspect of the practice so that I could really hit the ground running. I was always allowed to do as much as I wanted, which really allowed me to grow as a lawyer. The next thing I knew, I was here for almost 30 years. LD: You’ve now had a long record of verdicts and settlements. Was there a case early in your career where you feel you really turned a corner or made a name for yourself as a trial lawyer? AFS: Without a doubt, the case against Disney for a horrendous accident on the Roger Rabbit Ride, changed the trajectory of my career. LD: Has your style as a trial lawyer or a negotiator changed over time in any way that you or others recognize – is there a noticeable refinement that you see as a key to having continued your track record of success? AFS: Absolutely. I am constantly learning from doing as well as from listening to others. As time goes on and one becomes more comfortable in their role, one has more freedom and confidence to try new ways to perform one’s job. LD: Can you explain why you also do work as a neutral? Do you get insights and ideas from that work when it comes to looking at strategies for resolving cases for your own clients? AFS: I love being the problem solver. When two, or more, sides come to me with problems, it is quite a wonderful feeling to be the one who is able to lead all concerned to an outcome that puts the problems to rest. People can move on with their lives. I definitely see my own cases differently the more I work as a neutral. I feel more creative in how to approach my own cases, as well as applying tools as a neutral to help others. LD: Can you discuss any other extra-practice or pro bono work that is near and dear to your heart and why? AFS: I have been doing a lot of outside things – whether serving on boards of various organizations such as Inner City Law Center, Western Justice Center, Consumer Attorneys Association of Los Angeles, Consumer Attorneys of California, State Bar Judicial Nominee Evaluation Committee, Bench/Bar Committees, and others, it adds an extra dimension to my practice, or to me. There is so much we all have the capacity to give and do for others less fortunate or to strengthen organizations that help others. I can’t imagine not doing these things. LD: What advice do you give to young lawyers or law students who want to have the type of trial practice you have? AFS: I tell everyone who wants to follow in my footsteps to work harder than you think you are capable; always practice with the utmost of ethics and civility; always give back to those who need it most.